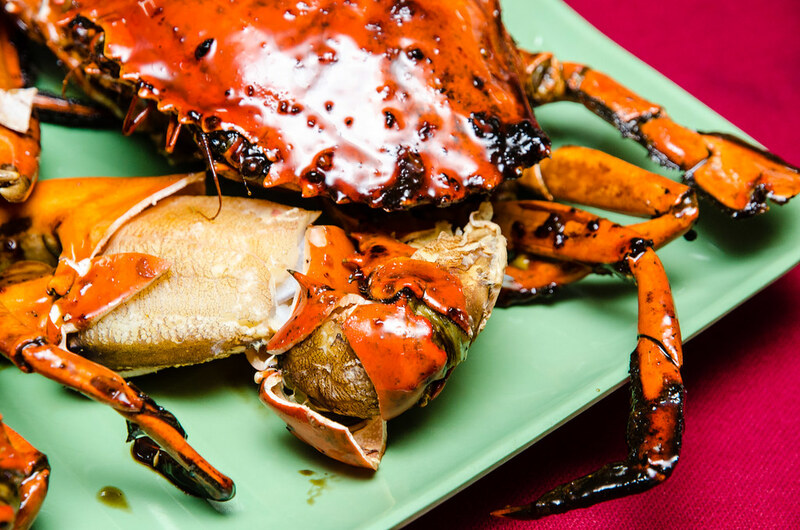 If you asked anyone what to eat in Seremban, Seremban Baked Crab (芙蓉烧蟹) is one of the answer, besides the Seremban Siew Pau. 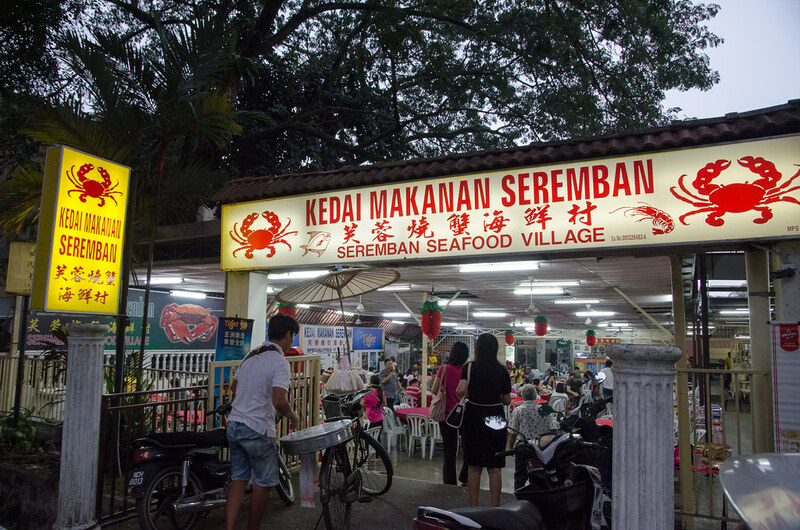 There are a few restaurants selling baked crab and the Kedai Makanan Seremban / Seremban Seafood Village (芙蓉烧蟹海鲜村) is one of them. Since we visited Seremban to attend my sister’s graduation, we decided to eat baked crab for dinner before going home. We ordered two baked crabs for five of us. 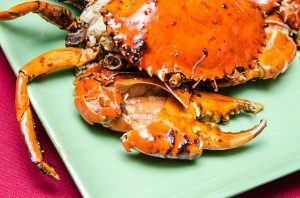 The crab is around 0.5 KG for one at RM 70 per KG. So our two crabs costed RM 70. 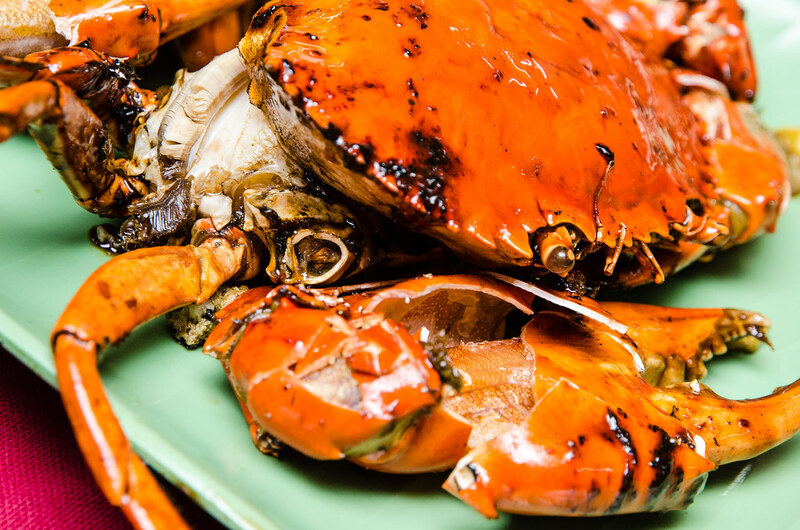 The shell of the crab is already cracked for your convenience, so that you can eat it easily. However I would like to crack and smash my crab with a crab hammer or crab plier for a full crab eating experience. 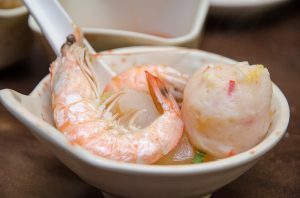 Nothing can explain the thrill and the satisfaction of success in removing the claw shell without damaging the crab meat. 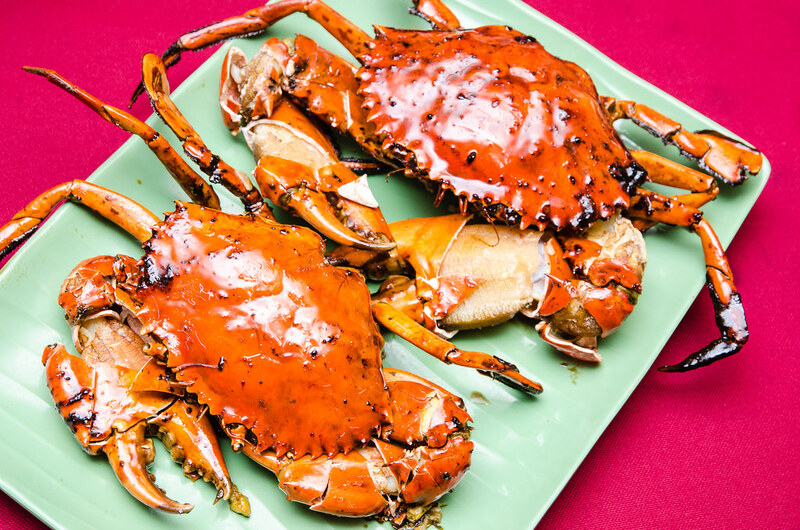 There is no sauce unlike other Chinese crab cooking styles, for example salted egg, kam heong or sweet and sour. 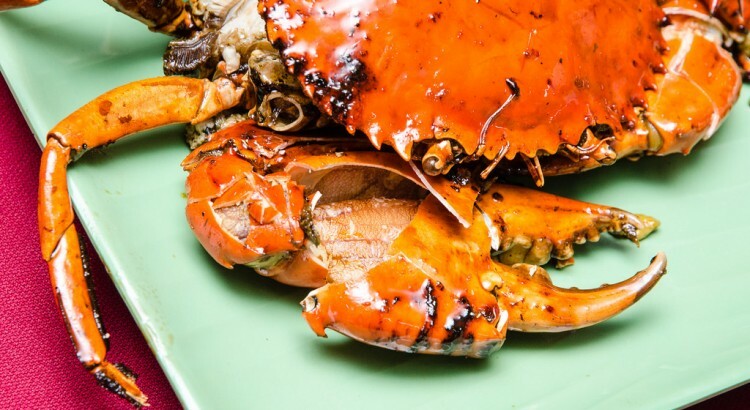 The uniqueness about the Seremban Baked Crab is that the special sauce is sticking onto on the shell. It is shell licking good! 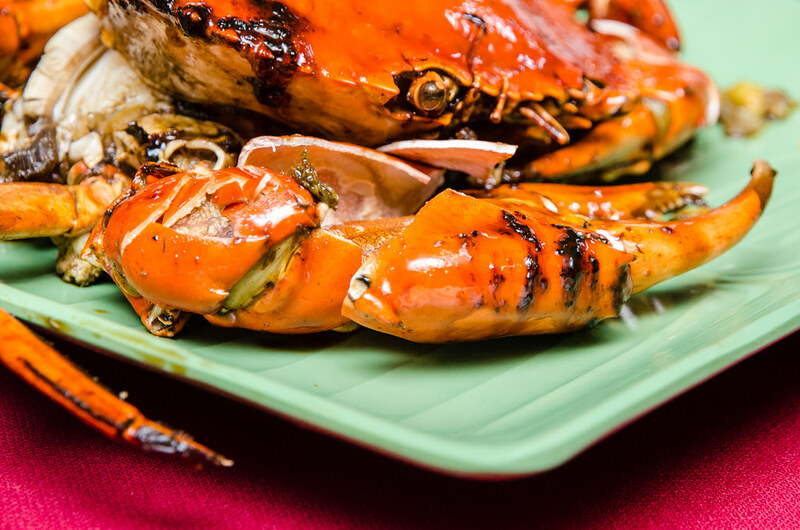 Not sure how the baked crab is prepared. 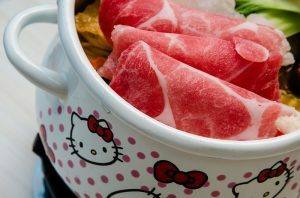 It looks like it is grilled but the name is baked. Or perhaps it is baked and grilled. Sometimes we got lucky and get crab roe. Special spicy sauce here in Kedai Makanan Seremban. 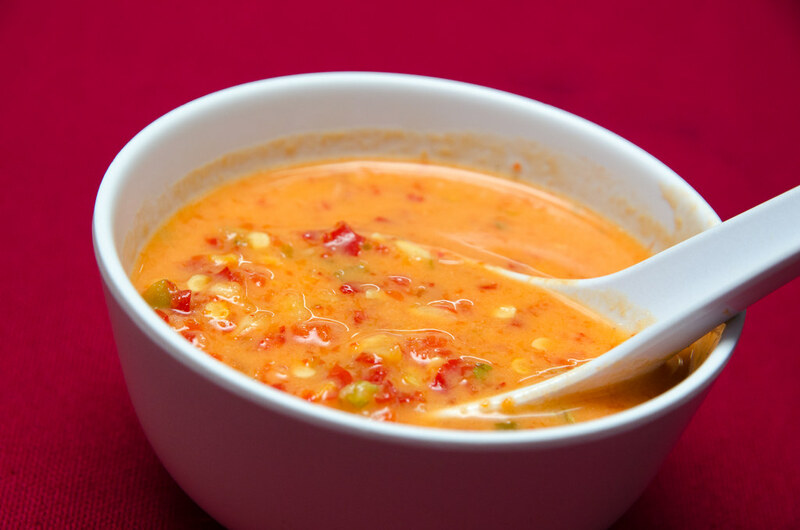 Not too spicy and goes well with the baked crab. 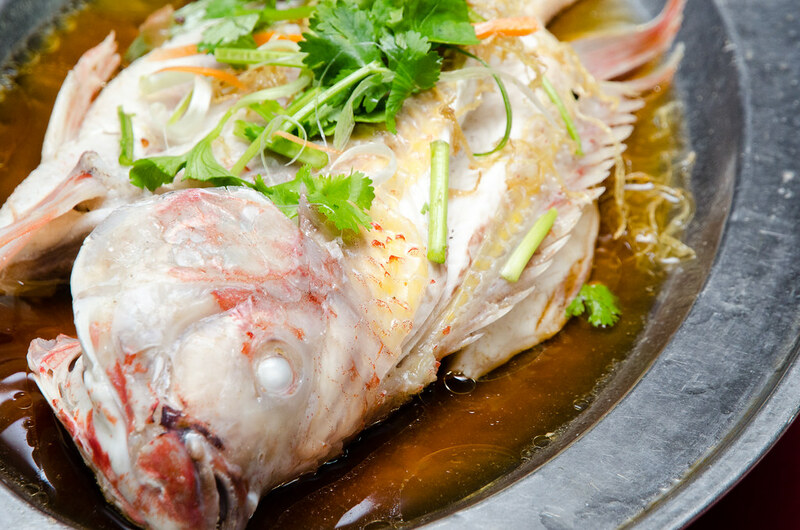 We also ordered this steamed Tilapia fish. Fresh and juicy. 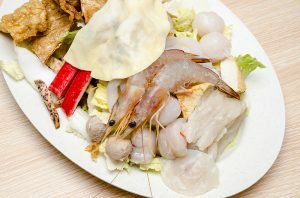 If you like steamed fish, check out my visit to Restoran Lan Je Steamed Fish (兰姐清蒸非洲鱼). RM 33 for this fish. 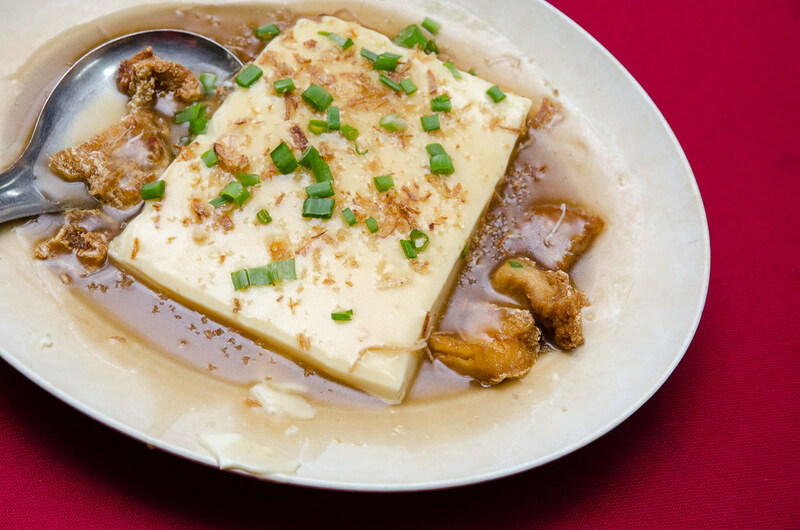 The name of this signature dish of Kedai Makanan Seremban is Seremban Special Bean Curd. The texture is somehow harder than normal tofu. 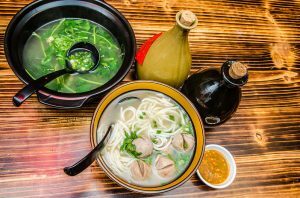 If don’t know what to order in a restaurant, we always order their signature dishes. This tofu costed RM 10. 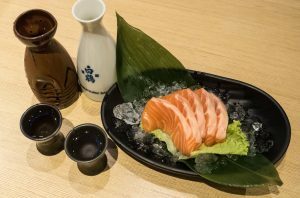 Always order vegetables to balance our meal. 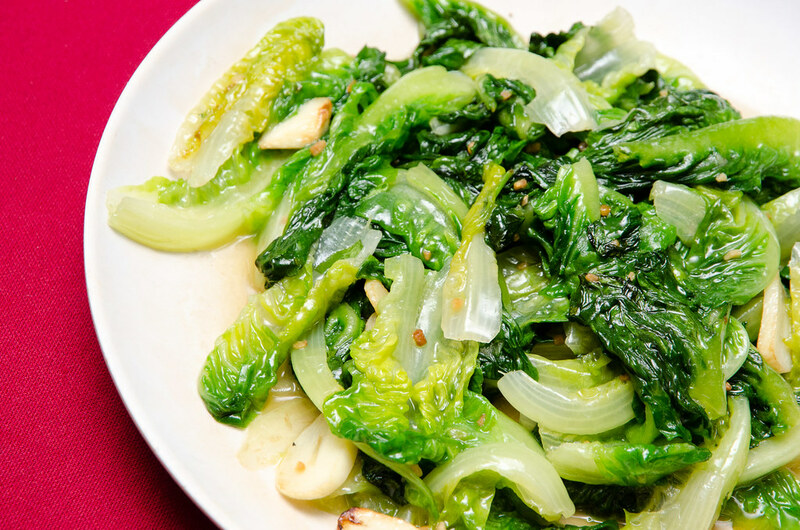 This stir fried Romaine Lettuce or Yao Mak costed RM 10. Food ordering here at Kedai Makanan Seremban is done using iPad. 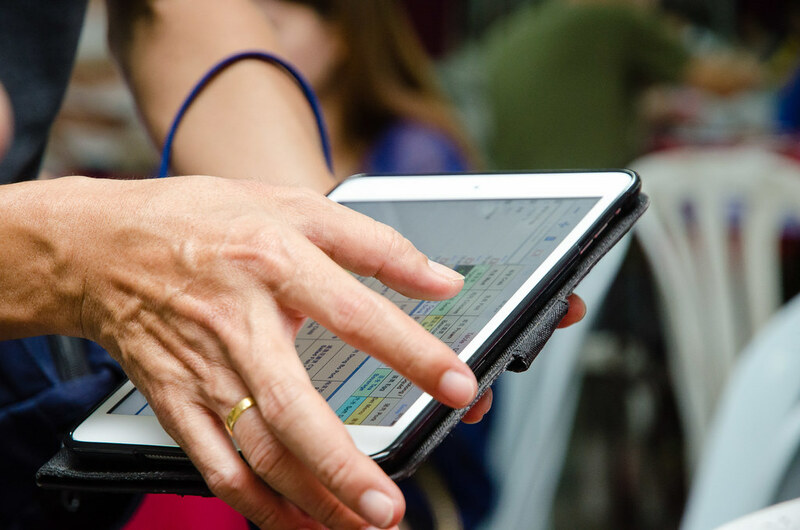 Quite seldom see iPad ordering in a Chinese restaurant. 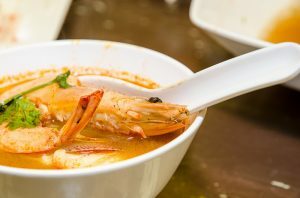 This seafood restaurant is easily spotted along Jalan Munawir. 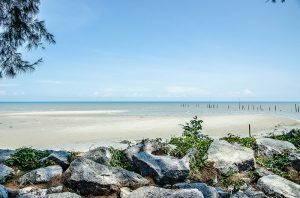 We used WAZE to reach here. Parking is an issue here and most of the customer park on the roadside. 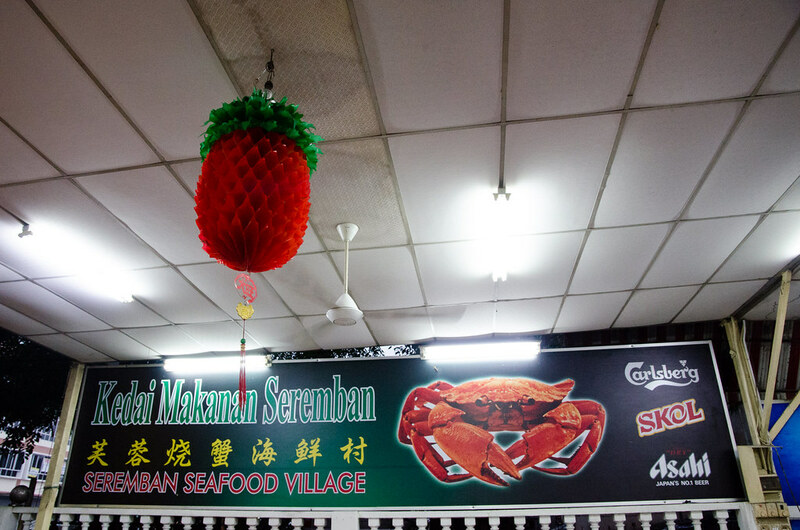 The business signboard of Kedai Makanan Seremban / Seremban Seafood Village with a photo of their signature Seremban Baked Crab. 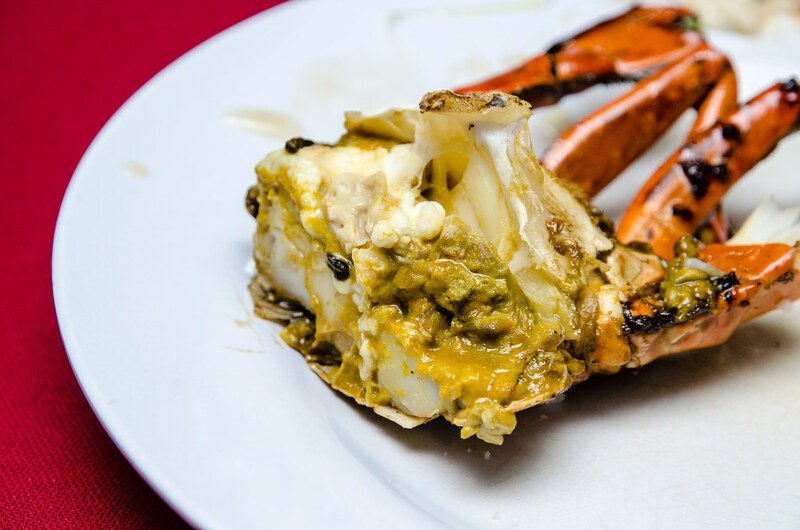 You can also order other seafood here besides the crab. 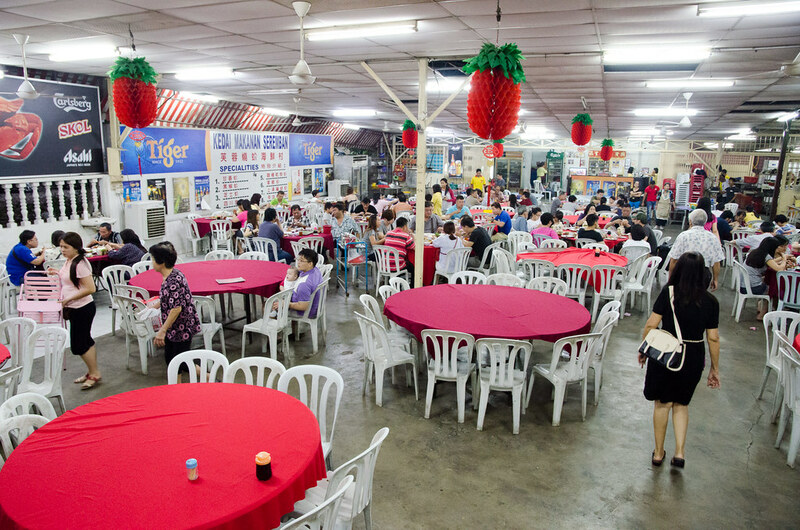 Interior of Kedai Makanan Seremban. We reached here quite early and only half of the tables are occupied. 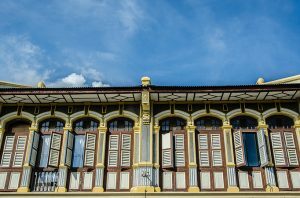 It is a non aircon restaurant but it is OK as there are many fans. 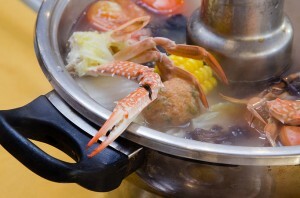 Furthermore you don’t need to get sweaty from smashing and cracking the crabs.